Next booth is from JMC. JMC, abbreviation for Jiangling Motors Corporation Limited, is a Chinese automobile manufacturer also known as Landwind brand name in other markets. Two of the three models that I able to take picture were Hunter, a pickup truck and Orion, their SUV. Beside the booth of JMC is a booth of Daewoo Bus company. In their booth, there are two buses displayed. One is a skeleton model BS106 and the other is a full bus BV115 SE. At the corner of the car show is a gallery of known persons in auto industry here in our country and in abroad. Also, there's a display of die-cast car models in the gallery. I really like the die-cast car models especially the 1:18 scale models. If I have an extra money I would start collecting those 1:18 cars. 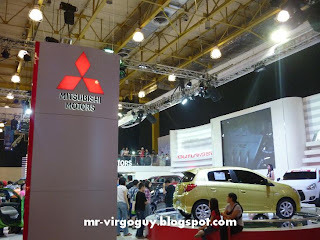 The next booth that I visited was from Mitsubishi. 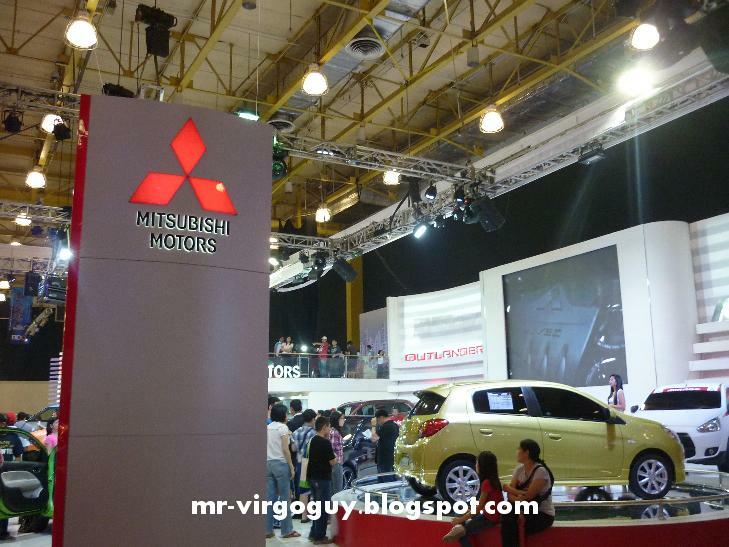 They showed us their Lancer EX, their new entry to mini-car segment Mirage, new generation Outlander and Strada. They also have accessories section for their cars. When I visit their booth, they currently showing their opening number on the first day of the show. Their opening number is the live performance of Pupil playing Disconnection Notice. 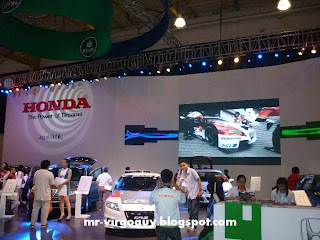 Beside the Mitsubishi booth is another popular car company in the country and that is Honda. 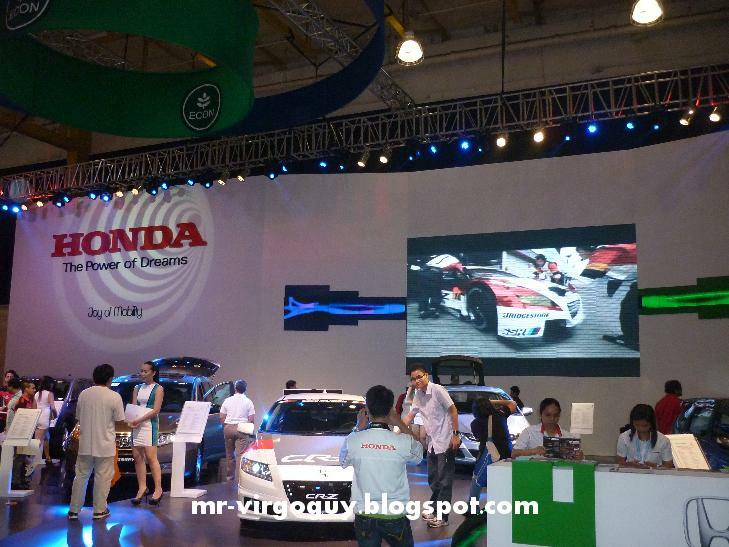 There are many visitors in the Honda booth. So many that I had hard time taking picture of the cars. 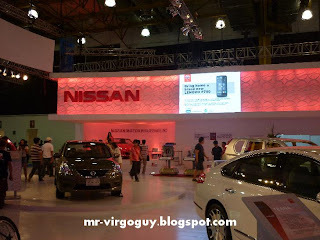 The models on their booth were City with Modulo accessories, Civic 2.0 EL with Modulo accessories, a minivan Odyssey, Jazz and two hybrid cars Insight and CR-Z. The CR-Z is a hatchback type of car. The one displayed in the show is accessorized with Mugen giving it a sports car appeal. And this is the second part of my visit. 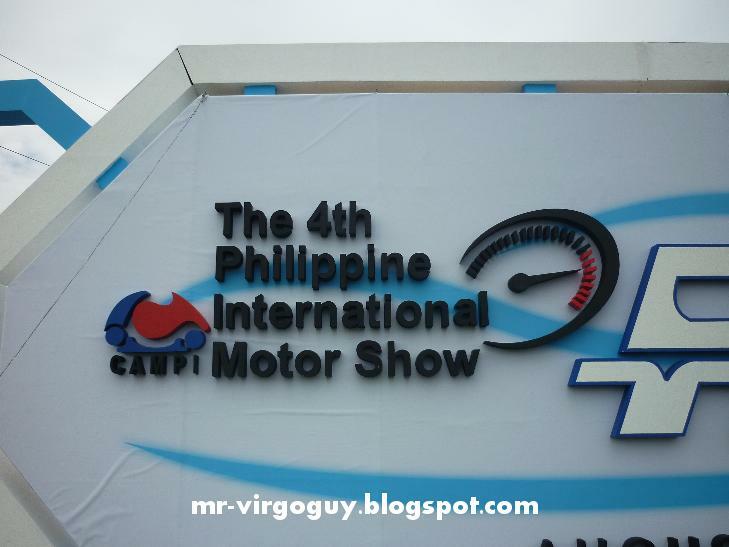 Stay tuned for another post on my visit in 4th Philippine International Motor Show.